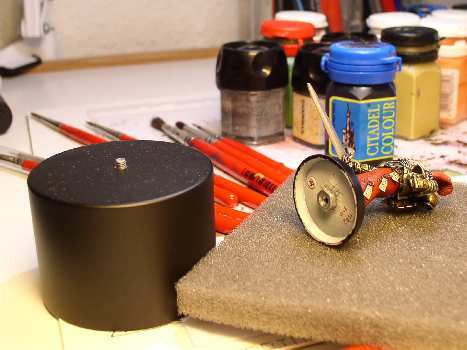 People travel to painting competition all the time, but how do they actually carry their miniatures? Standard GW miniature cases, shoe boxes, wrapped in toilet paper? 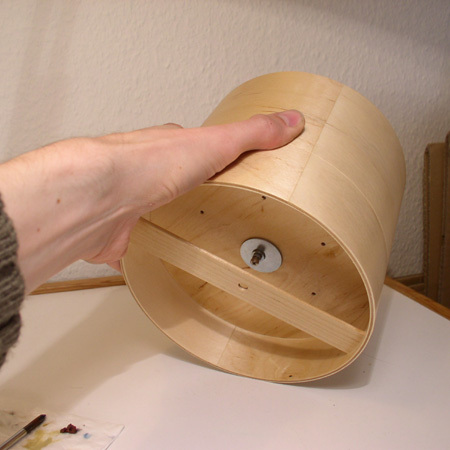 I have seen many different ways of moving models and tried lots of different methods as well. However, I have settled for the method described and shown here. 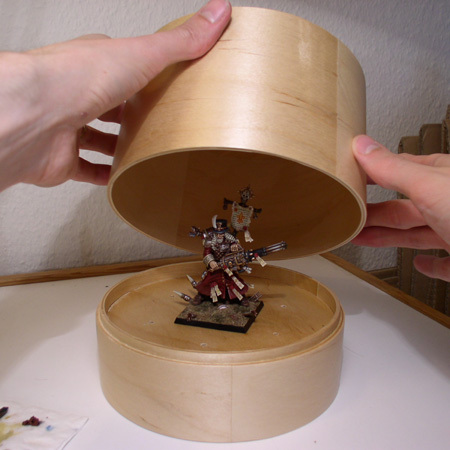 By glueing a bolt underneath the base of the model it is possible to fasten the miniature securely into a cardboard box. 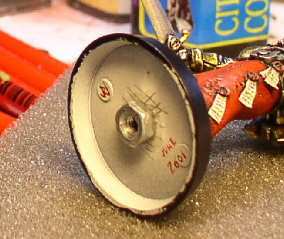 Adding greenstuff around the bolt will secure the bolt further. Notice in the close-up how the underside of the base has been scored with a modelling knife to give the greenstuff something to stick to when added. As you can see this method also makes is easy to use (and re-use) display bases! To keep the model safe I have build an extra room in the cardboard box to keep the bolt straight as seen in the last picture. When the model is fastened the box can be filled with foam bricks to prevent then model from shaking. 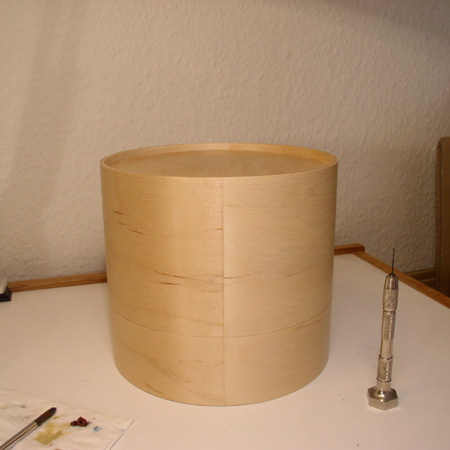 But if the model is somewhat delicate I prefer to skip the foam and just trust the bolt.